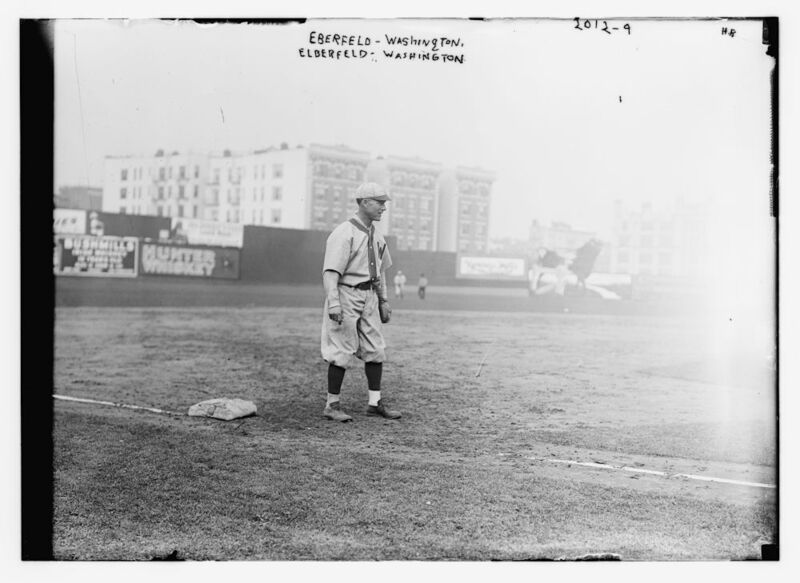 Norman Arthur Elberfeld (1875-1944), nicknamed the “Tabasco Kid” for his fiery temper and violent outbursts against umpires, covered 2nd base with a ferocity that daunted even Ty Cobb – who never slid head-first again after losing an encounter with Elberfeld’s spikes. 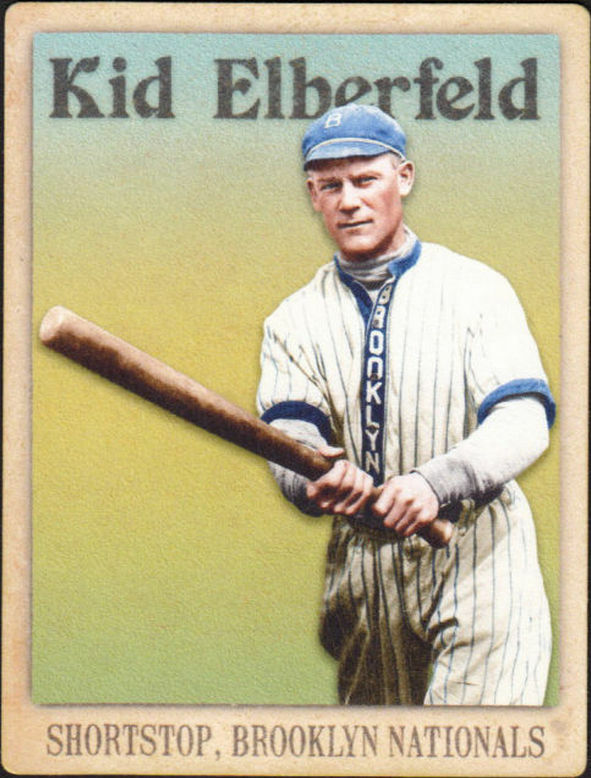 Played mostly SS for 7 teams, 1898-1914 and was a solid hitter (.271 lifetime). The design of the card is based on a photo from the Library of Congress. 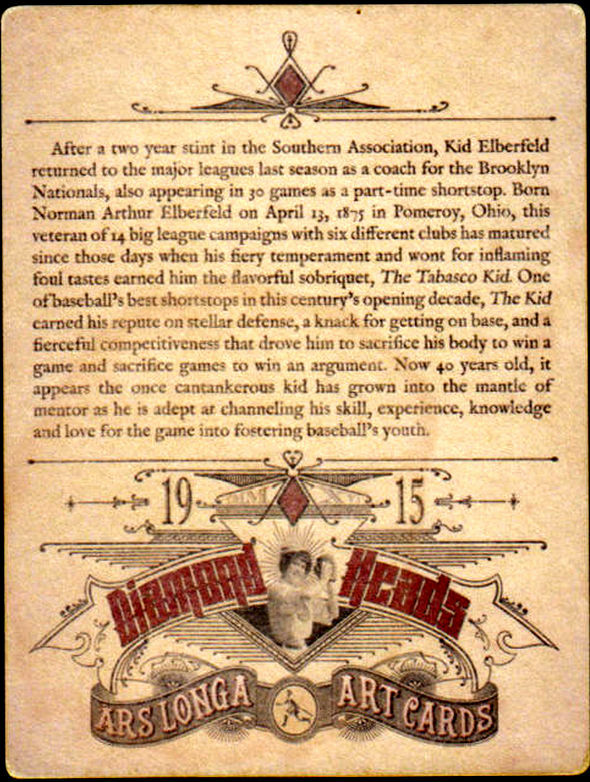 This is a card in the Pilgrims series of baseball cards. 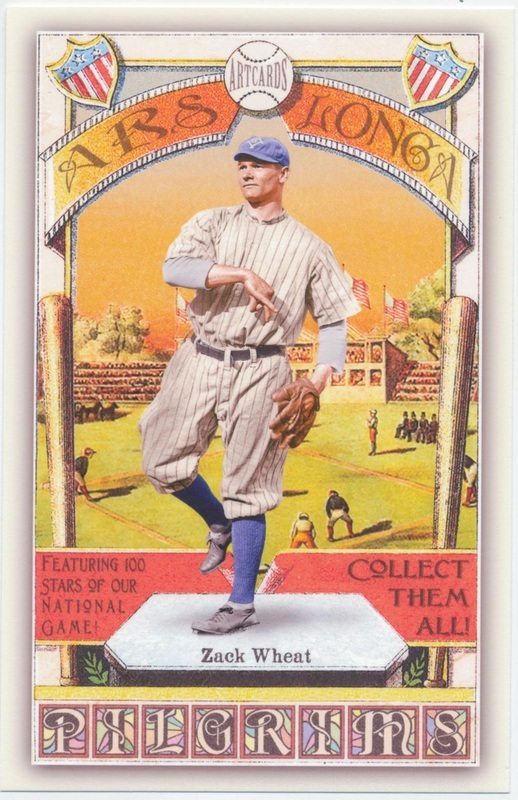 By integrating the backgrounds of the T201 cards with colorized photos of the players depicted and adding some environmental embellishments (grass, clouds, etc. ), our goal is to produce an intriguing and beautiful set of cards that is a fun challenge to collect.